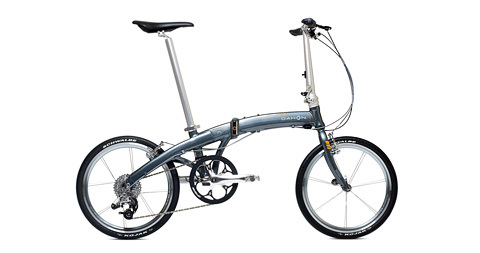 If you’re looking to fly by traffic on your morning commute or simply enjoy a ride around the park, then look no further than the ultra-light, fast-folding, great-looking Mu SL bike from Dahon …and at only 18.3 lb, these bike will bring a smile to your face as soon as you pick them up and take them for a spin. Featuring a 7005 aluminum frame and rocket fast, 20” Kinetix Pro wheels, these bike provide a stiff platform as well as speed over less than perfect roads. It will take you about 15 seconds to fold them into an easy to carry, compact package of 15.6″ x 30.4″ x 25.7″ so you will never need to leave them behind. 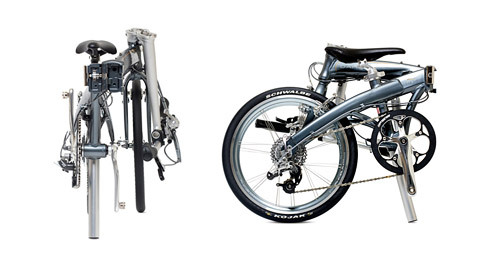 See the full collection of urban road and mountain bikes from Dahon .